Our range of Fixed Guide Awnings in Melbourne are designed to protect and provide shade to windows that are not easily accessible, such as upper stories of a building or home. 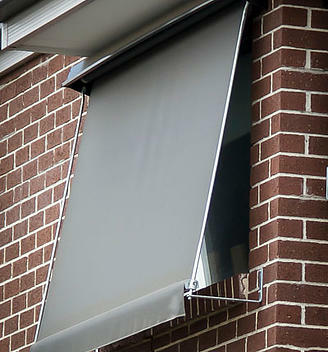 Fixed Guide Awnings do not have locking arms like other models, but rather a circular guide on the bottom bar which runs up two metal rods on either side of the fabric. Perfect for heat and U.V protection, they can be operated internally and externally by rope, motor, or a crank for those installed on ground levels. They are also great at keeping out the heat, which is great news for your energy bills. Suited to external windows between 500mm and 4000mm wide, our range is available in a wide variety of colours, in both canvas fabric and acrylic materials. Our range of Fixed Guide Awnings in Melbourne can be used outdoor structures such as verandahs and pergolas. Fixed Guide Awnings are constructed with only premium quality components and fabrics. We offer a 5 year warranty as testament to our quality, and for your peace of mind. Blinds4Less isa proud Australian Company. All of our Fixed Guide Awnings are made right here in Melbourne, built to Australian Standards and supporting our local economy. Our range is made using high quality fabrics and stitching. This not only delivers a superior awning but one that lasts as well. Our Fixed Guide Awnings are supplied with extra hard wearing zinc coated guides and fittings to prevent corrosion and maintain the smooth operation for many years.  Because Fixed Guide Awnings can be installed in those hard to reach places, we offer 3 convenient control options, including; Motorised, Cord Operated and Internal Crank Operation.